Out of Eden Learn is generously funded by the Abundance Foundation, with additional support from Global Cities, Inc., a program of Bloomberg Philanthropies, the National Geographic Society, and Qatar Foundation International. The Abundance Foundation and their partners train, support and empower local leaders in communities worldwide to develop new capacities that build lasting improvements in quality of life. They work to promote whole and healthy communities by focusing on the intersection of Health, Arts and Education, and Empowerment. The Abundance Foundation serves as a connective hub to a network of visionaries, innovative projects, and organizations that are working together to transform scarcity into abundance. Global Cities Inc. promotes skills that today’s youth will require for citizenship in tomorrow’s world. Global Scholars, its signature program, operates in public school classrooms around the globe, helping students deepen their understanding of their own cultural and historical contexts and giving them intellectual tools to appreciate the opportunities and challenges faced by those living in other places. Like Out of Eden Learn, Global Scholars draws on peer-to-peer exchange across classrooms in diverse cultures to expose young people to multiple perspectives. Global Scholars students learn about, investigate, and work collaboratively on such important global issues as environmental sustainability and food security. The Global Scholars project-based curriculum helps students develop digital literacy and critical thinking skills. Global Cities promotes a curriculum based in possibility, responding to a rising xenophobia rooted in fear. Global Cities equips students to address interconnected global problems, preparing them to develop collaborative cross-national solutions to the issues of our time and readying them to become thoughtful stewards of the human future. The National Geographic Society is a global nonprofit organization that pushes the boundaries of exploration, furthering understanding of our world and empowering us all to generate solutions for a healthy, more sustainable future for generations to come. The Society funds hundreds of research and conservation projects around the world each year and inspires new generations through National Geographic Education initiatives and resources. 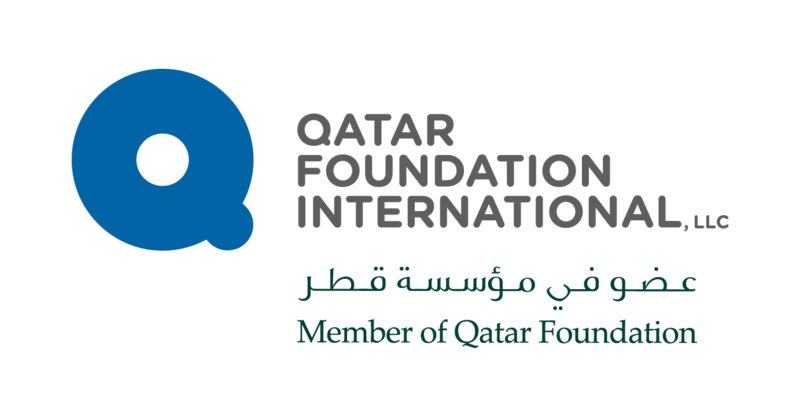 Qatar Foundation International inspires meaningful connections to the Arab world by creating a global community of diverse learners and educators and connecting them through effective and collaborative learning environments — inside and outside the classroom. The Out of Eden Walk Project nonprofit organization is recreating humankind’s first voyage of exploration the original way—on foot, without interruption, over the course of ten years and four continents. Pulitzer Prize-winning journalist Paul Salopek is using history, genetics, and archaeology as his guides as he retraces our ancient ancestors’ 21,000-mile migration from Ethiopia to the southernmost tip of South America. The Pulitzer Center supports international journalism by giving grants to reporters and photojournalists to cover stories that matter, those that touch on some of the biggest and most challenging issues of our time: climate change, food insecurity, women and children, public health, the nuclear threat, religion and power, war and peace. To inform and engage people of all ages the Center has created an innovative outreach and education program that includes lesson plans and blog posts inspired by the Out of Eden Walk. The Center has also developed a network of partner schools to interact with Paul Salopek throughout the Out of Eden Walk. The Center for Geographic Analysis (CGA)'s core mission is to support research and teaching in all disciplines across Harvard University with emerging geospatial technologies. Jeff Blossom joined the Center for Geographic Analysis at Harvard in 2007 as a Senior GIS Specialist. He teaches courses at the Harvard University Extension School and Salem State University, and is the cartographer for the Out of Eden Walk. A longtime writer and editor for National Geographic, Don Belt is an award-winning journalist, educator and public speaker. He currently teaches at the University of Richmond, with a focus on slow journalism and the role of journalism in the digital age.